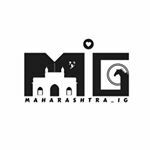 Maharashtra Instagrammers is community page on instagram . Now on facebook and YouTube too. We give stage to photographers and artists from Maharashtra state of India. We are the biggest and most popular community page from Maharashtra. We also conducts photo meets, photo contests and many more. Demographic data for @maharashtra_ig's audience is available for free to influence.co users.